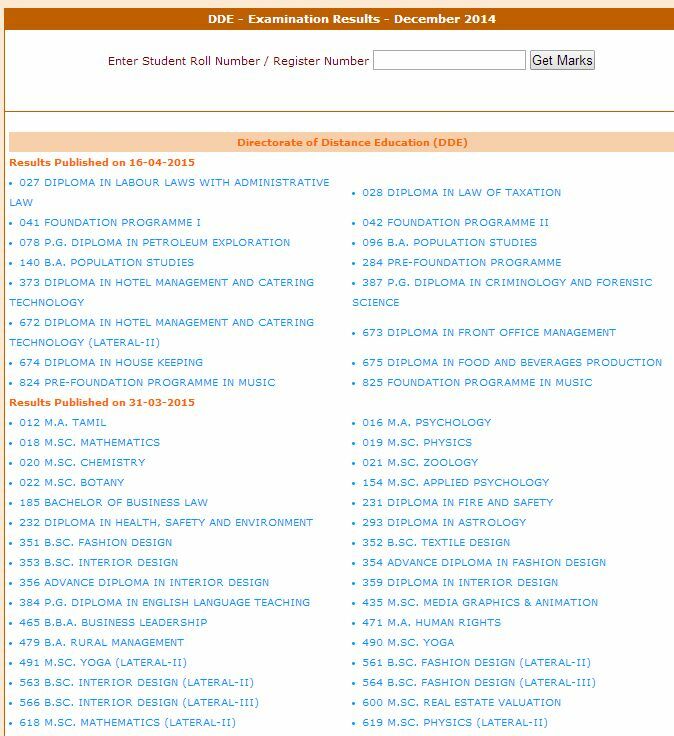 I want to see Master of Arts - Human Rights exam results of Annamalai University Directorate Of Distance Education .Will you please provide the procedure to reach the page where I can get information? As you are looking for Master of Arts - Human Rights exam results of Annamalai University Directorate Of Distance Education ,here I am providing the process to reach the page where you can get detailed information . Click on Examinations which is on the top of the page .